At-home smoothies are ridiculously easy. We had strawberry-banana smoothies at work recently, with a 1-1-1 ratio recipe of strawberries, bananas, and skim milk. Today I decided to try it with yogurt. 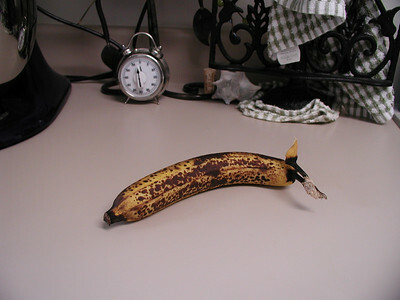 and one quite ripe banana. 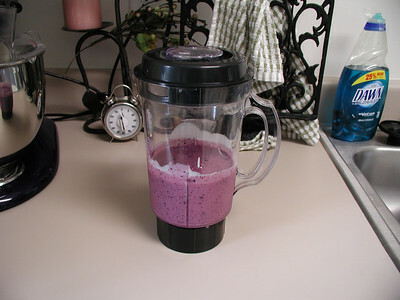 Put everything into the blender (or Magic Bullet, as the case may be). As you can see, this wouldn’t be great for someone on Atkins. Even though it’s almost completely fat-free, it’s high enough in calories and carbs that the points are a little higher than I usually like to have for breakfast. I’d suggest halving the recipe, or making one recipe for two people. 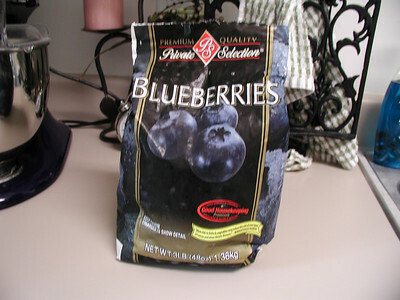 This entry was posted in Uncategorized and tagged food, Health, recipe by Heather Meadows. Bookmark the permalink. I actually wanted to use skim milk again, but I was out. Didn’t read this til today but got the idea to make a smoothie yesterday :) Might be because I am the king of letting bananas get overripe. 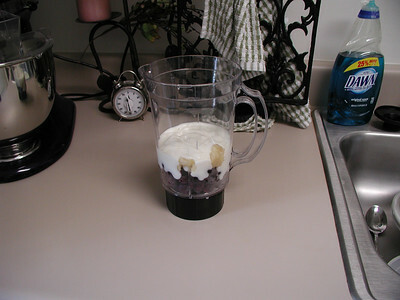 Have you tried adding in some of the Weight Watchers very low fat youghurt? Can’t remember the amount but it was about 1/2 point per serving. 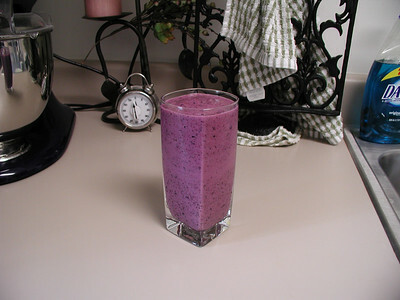 Smoothies are a great way to get some of your five a day fruit. 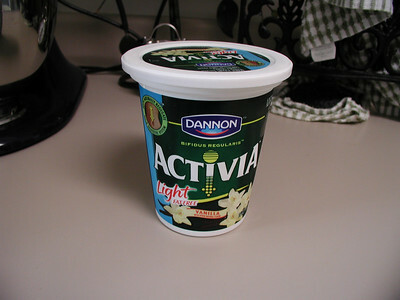 I’ve really only been eating Activia yogurt lately…haven’t tried the Weight Watchers stuff. Might need to check it out!